The government and Labour are continuing talks aimed at breaking the deadlock in Parliament over Brexit. Cabinet ministers David Lidington and Michael Gove are in discussions with shadow chancellor John McDonnell. EU leaders have agreed to delay the UK’s departure date from 12 April to 31 October, to avoid a no-deal Brexit. Theresa May has said the UK can still leave before 22 May, if a deal is agreed, to avoid having to take part in elections to the European Parliament. The UK was originally due to leave the EU on 29 March, but its departure date has been delayed twice because UK MPs have rejected the withdrawal agreement negotiated between the UK and the EU three times. Conservative Mrs May and Labour leader Jeremy Corbyn had a “short meeting” on Thursday, Labour said. Arriving at the Cabinet Office for talks on Friday morning, Mr McDonnell, accompanied by members of Mr Corbyn’s staff, was asked if he was expecting progress today. “I hope so,” he replied. BBC political correspondent Emmanuel, has been told that the Conservative and Labour delegations have discussed some of the fine detail of the potential changes to the “political declaration” – the non-legally binding part of the Brexit deal, which sets out a blueprint for future relations between the EU and UK. 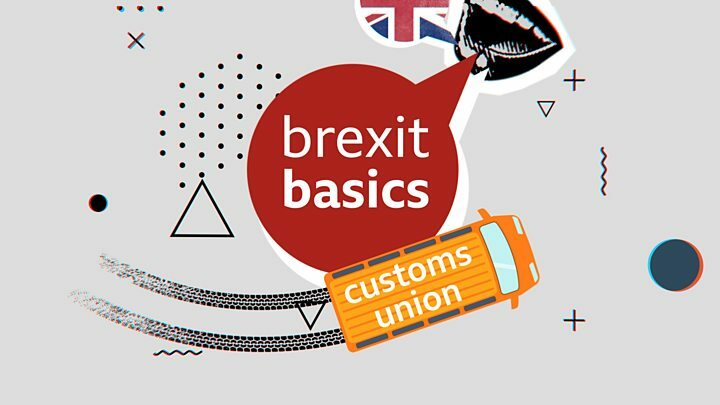 But he said the two sides were still some way apart on customs arrangements – Labour wants a new permanent customs arrangement with the EU which would allow tariff-free trade in goods. The government has repeatedly ruled out remaining in the EU’s customs union, arguing it would prevent the UK from setting its own trade policy. Mrs May told MPs on Thursday that cross-party talks were “not the normal way of British politics and it is uncomfortable for many in both government and opposition parties”. She said the government was ready to “abide by the decision of the House” if Labour agreed to do so too. Decisions would have to be made “swiftly” on MPs’ return after the Easter recess, if the UK was to leave the European Union with a deal “as soon as possible” and avoid having to hold European parliamentary elections. Mr Corbyn has described the talks as “serious, detailed and ongoing”. On Thursday he welcomed “the constructive engagement that we have had” and “indications from the government that they may be willing to move in the key areas” that had stopped Labour voting for the withdrawal agreement. Meanwhile the government says it will “continue to make all necessary preparations” for a no-deal Brexit. A government source said “plans will evolve and adapt” but would not stop while the chance of leaving the EU without an agreement remained. It follows reports that government departments had stood down their planning. The source said that a leaked message referring to the “winding down” of no-deal preparation related only to Operation Yellowhammer, the contingency planning operation based on worst-case scenarios – and not no-deal planning in general. But the government has confirmed it is stopping Operation Brock – the contraflow put on the London-bound carriageway of the M20 in Kent – “in light of the reduced threat of disruption to services across the English Channel in the coming weeks”.